Good Lack is a tryptic of solos, Back Pack, John Tube and Let’s Sky all navigating three very different performative territories yet sharing the common theme of absence. The title itself, inspired by the theme, plays with the ambiguity between the words luck and lack. In Back Pack, a rucksack resembles the shell of a turtle. It hides and offers protection yet is weighed down by an abundance of multicolored objects. 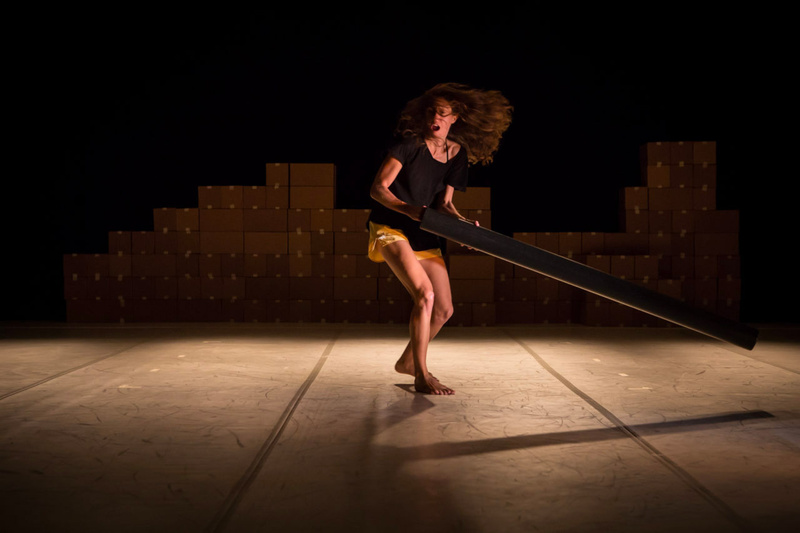 These objects modify and determine the making and unmaking of the performing body on stage. 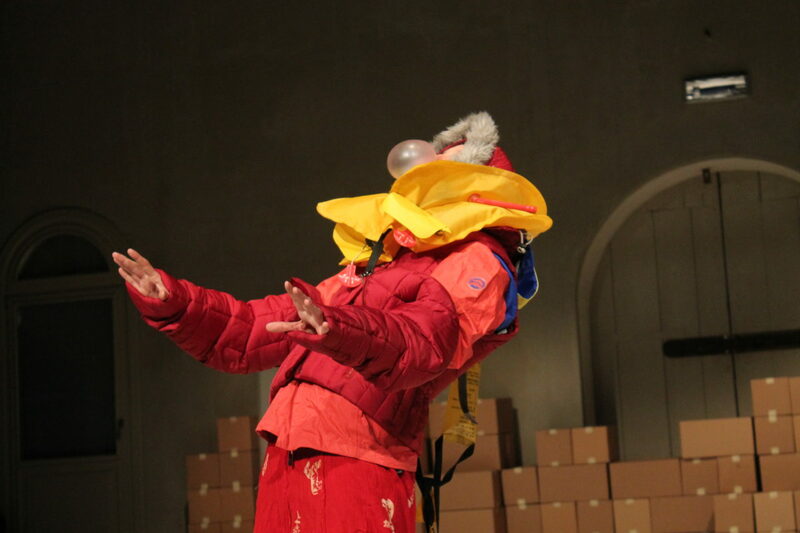 In John Tube a 170cm high black plastic tube (John) inhabits the stage: imaginary meanings and landscapes emerge through John’s silence and totemic immobility. 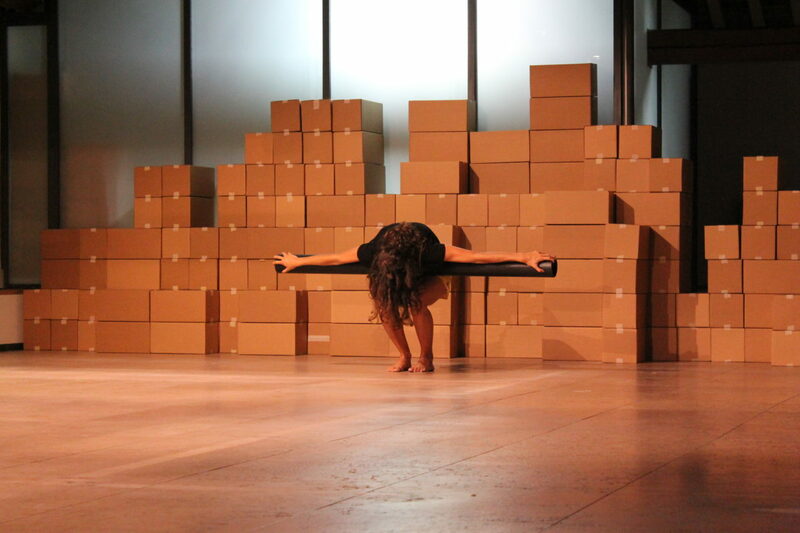 These environments are then disrupted by the repetitive gestures present in Let’s Sky where cardboard boxes enclose a body that seems to have lost its real being.